EXPERIENCE INCLUDES: HOT STONE MASSAGE (90min), STEAM (30min), FRUIT AND NUT PLATTER, AND TEA/COFFEE/WINE. Turn up the heat! Enjoy a 90 minute full-body Hot Stone Massage and a 30 minute session in the steam room. Top it off with a fruit and nut platter, and tea or coffee or a glass of wine, while enjoying all day access to the Spa's relaxation area and beautiful garden. EXPERIENCE INCLUDES: MANICURE, PEDICURE, FRUIT PLATTER AND HERBAL TEA. Make your beauty routine a beautiful one. Enjoy a Classic Manicure* and a 'Heel Peel' Pedicure*. Top it of with a fruit platter and herbal tea, while enjoying all day access to the Spa's relaxation areas and beautiful garden. *Gel application and removal not included. EXPERIENCE INCLUDES: BACK MASSAGE (30min), PEDICURE, FRUIT PLATTER AND TEA/COFFEE. A quick pick-me-up for the busy spa-goer. Enjoy a 30 minute Back Massage and a Classic Pedicure*. Top it off with a fruit platter and tea or coffee, while enjoying all day access to the Spa's relaxation area and beautiful garden. *Gel application and removal not included. EXPERIENCE INCLUDES: MASSAGE (60min), FRUIT PLATTER AND TEA/COFFEE. Heal completely and beautifully. Enjoy a 60 minute Holistic Massage and top it off with a fruit platter and tea or coffee. Additionally, enjoy all day access to the Spa's relaxation area and beautiful garden. EXPERIENCE INCLUDES: MASSAGE (60min), STEAM ROOM (30min), FRUIT PLATTER AND NUT PLATTER, AND HERBAL TEA. Bounce back and feel like ‘you’ again. Enjoy a 60 minute 'Jetlag' Massage and a 30 minute session in the steam room. Top it off with a fruit and nut platter and herbal tea, while enjoying all day access to the Spa's relaxation areas and beautiful garden. EXPERIENCE INCLUDES: MASSAGE (60min), FRUIT AND NUT PLATTER, AND TEA/COFFEE. De-Stress and heal the aches. Enjoy a 60 minute Deep Tissue Massage. Top it off with a fruit and nut platter, and tea or coffee, while enjoying all day access to the Spa's relaxation area and beautiful garden. EXPERIENCE INCLUDES: MASSAGE (90min), STEAM (30min), FRUIT AND NUT PLATTER, AND GLASS OF WINE. Heal completely and beautifully. Enjoy a 90 minute Holistic Massage and a 30 minute session in the steam room. Top it off with a fruit and nut platter, and a glass of wine, while enjoying all day access to the Spa's relaxation area and beautiful garden. EXPERIENCE INCLUDES: MASSAGE (60min), STEAM, MANICURE, PEDICURE, FRUIT AND NUT PLATTER, AND GLASS OF WINE. Release stress while pampering your whole body. Enjoy a 60 minute Aromatherapy Massage, 30 minute session in the steam room, and a manicure* and pedicure*. Top it off with a fruit and nut platter, and glass of wine, while enjoying all day access to the Spa's relaxation area and beautiful garden. *Gel application and removal not included. 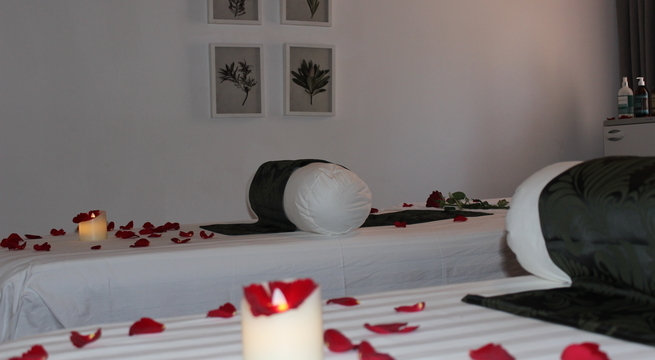 EXPERIENCE INCLUDES: FACIAL (60min), BACK MASSAGE (30min), FRUIT AND NUT PLATTER, AND TEA/COFFEE/GLASS OF WINE. Walk out of the spa fresh-faced and feeling amazing. Enjoy a 60 minute Elemis Facial (choose from 'Detoxifying', 'Soothing' or 'Hydrating') and a 30 minute Back Massage. Top it off with a fruit and nut platter, and tea or coffee or a glass of wine, while enjoying all day access to the Spa's relaxation area and beautiful garden. EXPERIENCE INCLUDES: FACIAL (60min), REFLEXOLOGY (45min), FRUIT AND NUT PLATTER, AND GLASS OF SPARKLING WINE. Enjoy pure radiance and relaxation. Enjoy a 60 minute Elemis Facial (choose from 'Detoxifying', 'Soothing' or 'Hydrating') and a 45 minute Reflexology treatment. Top it off with a fruit and nut platter, and glass of sparkling wine, while enjoying all day access to the Spa's relaxation area and beautiful garden. EXPERIENCE INCLUDES: FACIAL (90min), BACK MASSAGE (30min), STEAM (30min), FRUIT AND NUT PLATTER, AND GLASS OF SPARKLING WINE. Walk out of the spa fresh-faced and feeling amazing. 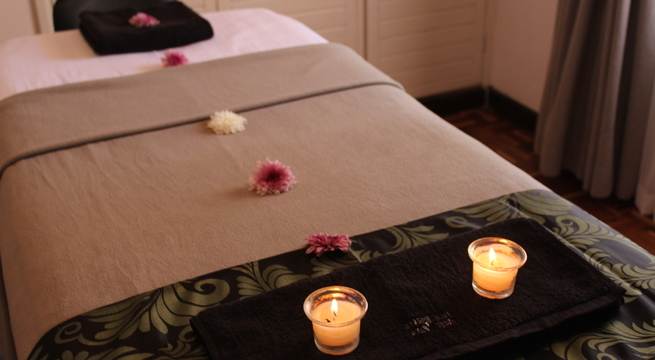 Enjoy a 90 minute 'Bustani Advanced Anti-Aging' Facial, 30 minute Back Massage and 30 minute session in the steam room. Top it off with a fruit and nut platter, and glass of sparkling wine, while enjoying all day access to the Spa's relaxation area and beautiful garden. EXPERIENCE INCLUDES: FACIAL (60min), BODY SCRUB (30min), MASSAGE (60min), FRUIT AND NUT PLATTER/CHICKEN SANDWICH, GLASS OF SPARKLING WINE, AND HERBAL TEA. Love thyself with this top-to-toe pampering package. Enjoy a 60 minute facial (customised to your specific skin type), 30 minute Coffee Scrub and a 60 minute 'Holistic Healing' Massage. Top it off with a fruit and nut platter or a chicken sandwich, a glass of sparkling wine and herbal tea. Additionally, enjoying all day access to the Spa's relaxation areas and beautiful garden. EXPERIENCE INCLUDES: MASSAGE (60min), FRUIT AND NUT PLATTER, AND TEA/COFFEE. Much-needed relaxation and relief for Mum To Be. Enjoy a 60 minute Pre-Natal Massage (by trained pre-natal therapist). Top it off with a fruit and nut platter, and tea or coffee, while enjoying all day access to the Spa's relaxation area and beautiful garden. 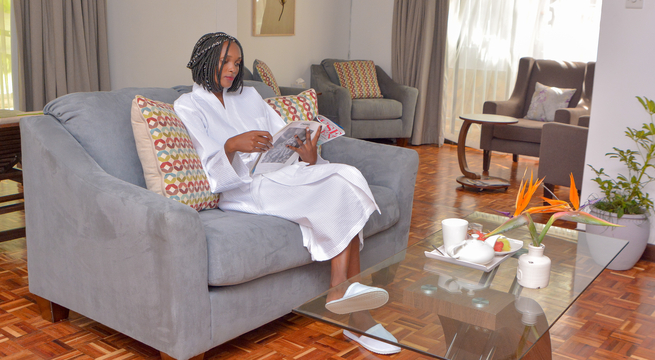 EXPERIENCE INCLUDES: MASSAGE (90min), STEAM (60min), FRUIT AND NUT PLATTER, GLASS OF SPARKLING WINE AND HERBAL TEA. Stop, revive and feel alive. Enjoy a 90 minute 'Elemis Deep Tissue' Massage, and a 30 minute session in the steam room. Top it off with a fruit and nut platter, a glass of sparkling wine and herbal tea. Additionally, enjoying all day access to the Spa's relaxation areas and beautiful garden. 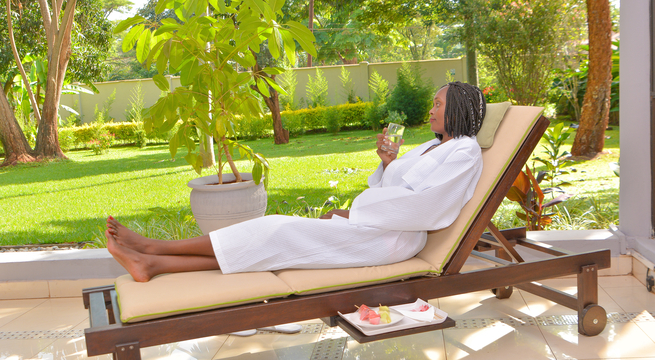 Bustani Day Spa is a tranquil, serene escape from the haste of everyday life. 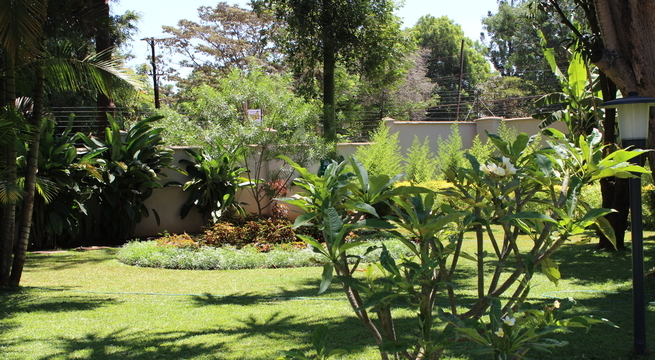 Situated in the Gigiri area in Nairobi, it offers the finest care to provide you with renewed balance, beauty and connectedness. The spa offers a range of relaxing mind and body Spa treatments undertaken by highly professional and friendly staff. 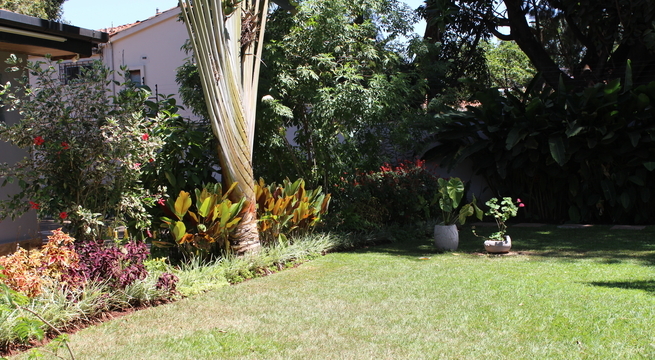 With the use of environmentally friendly African and international spa products, in a thriving garden environment, Bustani Spa strives to enrich lives and nourish spirits through our local heritage. The relaxing atmosphere and full service comfort will give you an experience that will leave you rejuvenated, energized and glowing.